Choosing a broker is one of the first and most important steps that you have to take in the trading world. Making the right choice is crucial because a broker plays a key role in your trading activities. If the broker is unwilling to cooperate, even the most professional traders will not be able to operate efficiently in the markets. These days, you can find thousands of online brokers and a lot of them claim to offer a horde of services to their clients. The problem is that only a handful of them actually live up to their promises. Therefore, you have to be very cautious when making this decision. One of the brokers that you will come across in your search for trustworthy and innovative brokers is GigaFX. Most traders don’t give it more than a glance because it was only recently launched in 2018, which means it hasn’t been around long enough to develop a reputation. However, it has done exactly that and GigaFX is a recognized name as traders in more than 60 countries are using its services for trading in numerous financial markets. One of the biggest advantages of GigaFX’s newness is that it incorporates all the latest features you would expect as it has integrated all recent technologies when developing its platforms. The trading world is a huge one and there are tons of financial instruments that you can trade in order to bring in profits. In fact, it is possible to trade in multiple markets simultaneously to make the most of your investment. GigaFX is renowned for giving access to almost 2200 underlying global financial instruments for trading purposes. You can choose to put your money in commodities, indices, forex, stocks and cryptocurrencies. The broker gives you the opportunity to trade some of the highly coveted stocks and currency pairs and make substantial returns. As far as cryptocurrencies are concerned, you can trade Bitcoin, Litecoin and Ethereum, which are some of the most valuable ones in the market and a crypto wallet is also available. 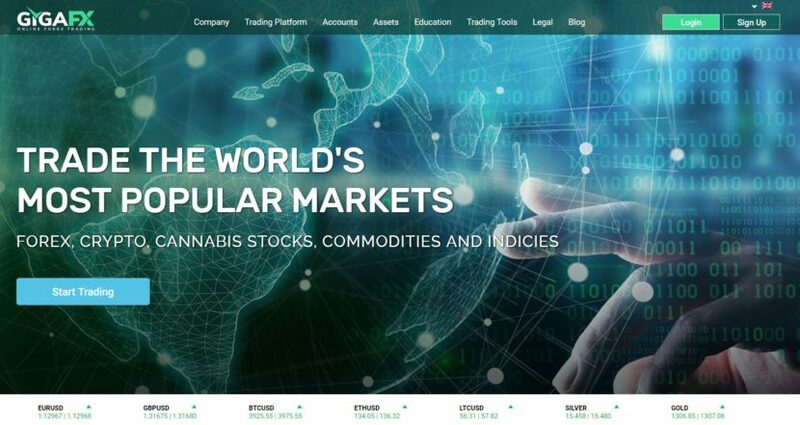 One unique financial instrument that you can trade via GigaFX is Cannabis stocks. The broker gives you access to stocks of some of the top Cannabis companies because it is being widely accepted in numerous countries. This means this instrument could hold a lot of potential and may benefit you in the future. Nonetheless, one thing that every trader needs to remember is that GigaFX doesn’t allow you to buy the physical asset, no matter which one you decide to invest in. You will be trading CFDs, which are Contracts for Difference. In this case, you will predict the price movement of the asset in question and make a profit or a loss, depending on the actual movement. Trading platforms are an important element of a broker’s services because they determine what kind of experience you will have when trading. Whether you are a new trader or an experienced one, chances are that you will want an innovative yet easy-to-use trading platform that allows you to execute transactions quickly and seamlessly. Therefore, GigaFX has incorporated multiple options when it comes to trading platforms to ensure that everyone can find something that works for them. 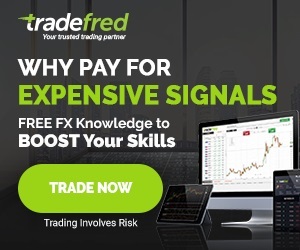 First and foremost, it has included the hugely popular MetaTrader 4 platform, which is offered by the best online brokers in the market. It comes with various features such as Expert Advisors (EAs) that enable automated trading as well as custom indicators and signals that can be immensely helpful during trade. The platform doesn’t suffer from any lags and you can make transactions quickly. Web Trader is the second option you will come across on GigaFX. The beauty of this platform is that it requires no download or installation of any kind and is accessible on any device that has a browser, as long as you have an internet connection. This platform is preferred by traditional traders and it is equipped with some useful charts, graphs and trading tools that can help in decision making. The last trading platform that you will find on GigaFX is a Mobile Trading platform and can be used for iOS and Android devices. This platform is designed to help people in trading from their mobile devices, regardless of where they are. You can be in a completely different country and still be able to trade through a mobile trading platform. It also comes with a variety of features and allows rapid fast executions, which makes trading easy for everyone. Another notable feature of GigaFX is that it has made it incredibly easy for traders to sign up on its platform. Most other brokers have too many requirements and prerequisites that can often take up a lot of time and can often be difficult to understand. You don’t have to face any such problems with GigaFX. The broker requires you to provide some basic information, which needs to be accurate. Documentation such as proof of address and identity should also be kept ready if you want to be done with sign up within a few minutes. The minimum deposit requirement at GigaFX is just EUR 250, which is lower than others and makes it easier for beginners to start trading. Starter account is your first option on GigaFX and it is made for brokers who are just starting out in the trading world. These traders are conservative in the beginning because they are getting their first experience and cannot afford to risk it all. They just want to learn how to execute trades in markets and what to expect when you do. This account enables them to use MT4, Mobile Trading platform or the Web Trader, as per their preference. Beginners get a Personal Account manager, basic training, latest news and access to the Education and Resource Center for enhancing their knowledge. The Silver account is the second account type you will find on GigaFX. It is made for traders who have had the shine wiped off of them and can take some risks. All features of the Starter account are offered with this one, along with some extras. This account enables them to attend webinars, which are conducted by experts and can be quite insightful. They provide traders with the opportunity to speak to professional traders and benefit from their experience and knowledge. The third account option offered by GigaFX is called the Gold account. This account type is designed for traders who have now become knowledgeable about the market workings and so have become ambitious. Along with the features of both Starter and Silver account, the Gold account comes with an experienced trading consultant to give guidance and advice to accomplished traders based on their goals and personal situation. One-on-one training is also available, which helps traders in learning how to use some of the advanced features and tools of this account. Daily Market Alerts are also available, which can be used in making important trading decisions. The Premium account is the last account type that you will come across on GigaFX. This particular option is aimed at VIP and professional traders who have been around for a while and need access to serious tools and features. This account has a Personal Bonus policy associated with it related to the huge volume of trades that are conducted by those using it. Other than that, additional training is offered to account holders that can add to their skillset and help them in reaching a higher level than before. One of the biggest issues that people have with online trading is with deposits and withdrawals. Sharing your financial information online carries risks because there have been frauds and scams. Moreover, there are also fees and charges associated with deposits and withdrawals that can be a major turn off for traders. Again, this is an issue that GigaFX has addressed by adding a horde of payment methods that can be used for adding and withdrawing funds from your account with the broker. There is the option of bank wire transfer, which is quite safe, but does take some time in processing requests for both deposits and withdrawals. Credit and debit cards can also be used and GigaFX actually goes beyond Visa and MasterCard to include other cards such as Maestro, Diners and Delta. E-payment methods can also be used for adding and withdrawals and they are relatively quick and have a very low cost. Some options are Skrill and Neteller. The broker is also keeping up with changes in the financial world so it has introduced the option of using cryptocurrency for payment, which is not something you will find in other brokers. From the get go when you are signing up on GigaFX, you will notice that the broker has laid a lot of emphasis on security. A number of brokers have had their platforms compromised by hackers and GigaFX has no intention of letting this happen. As a result, they take precautions from the beginning to avoid any such issues in the future. They require considerable information for account verification to ensure there are no discrepancies in the data provided by clients. Strict Know your Customer (KYC) and Anti-Money Laundering (AML) policies are implemented to prevent the possibility of fraudulent transactions. A very notable feature that GigaFX has available is its reliable and impeccable customer service. For traders, customer support can be extremely vital because they may have queries and questions while trading. Obviously, instant answers are needed to ensure you don’t miss out on anything and can make your decisions quickly. GigaFX has done a wonderful job in this regard because it has provided its users with a number of options to reach out to them and they can pick a method based on their urgency. Phone numbers are available for all their three offices, email addresses are also given along with an online contact form. The answers are detailed instead of vague and also quite quick so you don’t have to wait long to hear from them. Apart from these notable features, GigaFX also gives its users tight spreads and high leverage to make things interesting for them. The broker has also ensured its user-interface is friendly and cutting edge and it has also given its clients access to quality and extensive educational materials that can be immensely helpful for them in the long run. The cost of trading via GigaFX is also low as the broker doesn’t charge any commission and you can have a smooth trading experience with it.